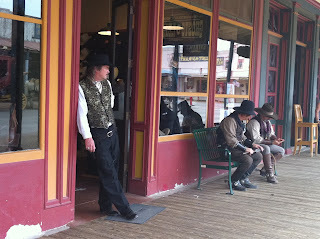 In April of 2010 my husband, Allen, and I traveled to Tombstone and spent four days completing historical and local research. I was thrilled to get to write and then recently, republish, Finding Love in Tombstone, Arizona, which follows a character readers met in Love Finds You in Last Chance, CA. So many readers clamored to know what happened to Christy Grey that she was given her own story. 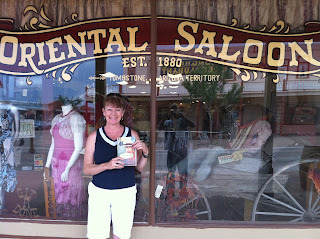 I felt it was vital that I visit Tombstone to get a feel for the history and local legends that still make this a thrilling spot for lovers of all things Western. We stayed at the Sagebrush Inn—a small motel built in the 1940s and remodeled a few years ago, a popular lodging place for John Wayne and Maureen O’Hara while shooting movies in the Tombstone area. We had the unique privilege of staying in John Wayne’s favorite room. While Christy and Nevada’s story is purely fiction, there are many elements that are true. Doctor Goodfellow, Pastor Endicott Peabody, Marshal Ben Sippy, Doc Holliday, Buckskin Frank Leslie, the Earp brothers, Nellie Cashman, and Big Nose Kate, who dated Doc Holliday, along with all of the businesses depicted, were real and shown as accurately as possible based on my research. shot it out with the Clantons and the McLaurys. Boot Hill cemetery is still in existence and well cared for. The vast majority of people resting there were taken by the black horse-drawn hearse mentioned in the story and housed in one of the museums in town. 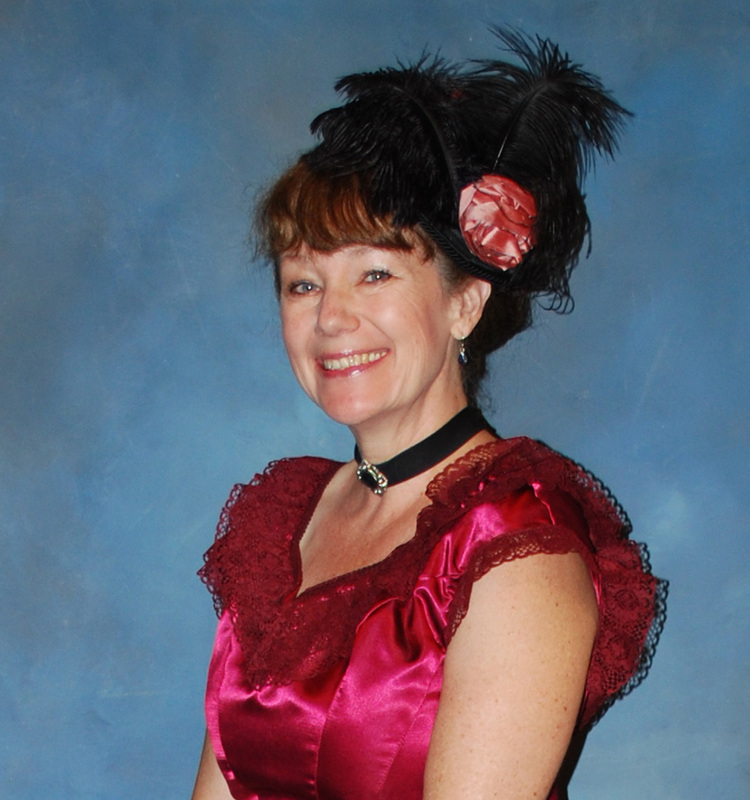 Nellie Cashman, one of my characters, was the owner of the Russ House, and was called “The angel of Tombstone” by many a miner and local resident. She did indeed minister to the downtrodden, the poor, the ladies in the red-light district, and even criminals condemned to die by hanging. Details about her Irish ancestry, her appearance, and the description of the outside of the Russ House are accurate, although the building was being remodeled when we visited and I wasn’t able to see past the lobby through the open front door. The menu choices shown at the Russ House were from an actual menu used during 1881. The story about the stagecoach holdup is based on a real event. A young woman shot during a Wells Fargo coach robbery was bleeding badly and insisted one of the outlaws assist her. He took her aside but couldn’t see as his mask kept slipping. When she agreed to keep his identity a secret, he removed the mask, bound up her arm, and the stage eventually went on its way. The outlaws got away with a shipment of Wells Fargo gold meant for the payroll at the mines. A fire occurred in Tombstone on June 22, 1881, and burned a large section of the business district, including the Oriental Saloon. Water was scarce during that time period, as no underground lines had yet been run from the mountains. Barrels of water were transported into town by wagon at a high price per gallon, but not in quantities large enough to fight a fire of this magnitude. The fire resulted from a mishap with a barrel of bad whiskey at the arcade Saloon (in the same block as the Oriental Saloon). The owner wanted to measure the amount left in a barrel so he could return it to the vendor. Upon doing so, he accidentally dropped the measuring gauge into the barrel. He made the mistake of holding a lit cigar while trying to remove the gauge from the barrel. The cigar ignited the gas, creating an explosion, and spread burning alcohol everywhere. The Golden Eagle, later renamed the Crystal Palace, right across the side street survived, as did a few of the other landmarks in town. The Crystal Palace is still in business today and looks much the same as when it was rebuilt. It took about two weeks for the townspeople to rebuild most of the business district, bringing lumber from a mill at the base of the nearby mountains. 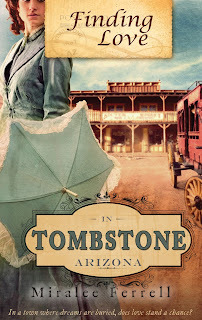 Then, in May of the following year, Tombstone got hit by another devastating fire, and much of the town once again burned (including the Grand Hotel), but was soon rebuilt. Until a water line was brought in from the mountains a couple of years later, the people were helpless to fight fires. We visited one of the original mines and discovered many of the old tunnels that still honeycomb the ground beneath the town. A fire in 1886 destroyed the pumps removing the water from deep in the mines and operation ceased. Mining reopened in 1901, but boiler problems and serious flooding once again closed them. Silver prices dropped substantially when the gold standard was set in place, and the remaining silver in the shafts was abandoned. In 1929 the county seat moved to Bisbee. 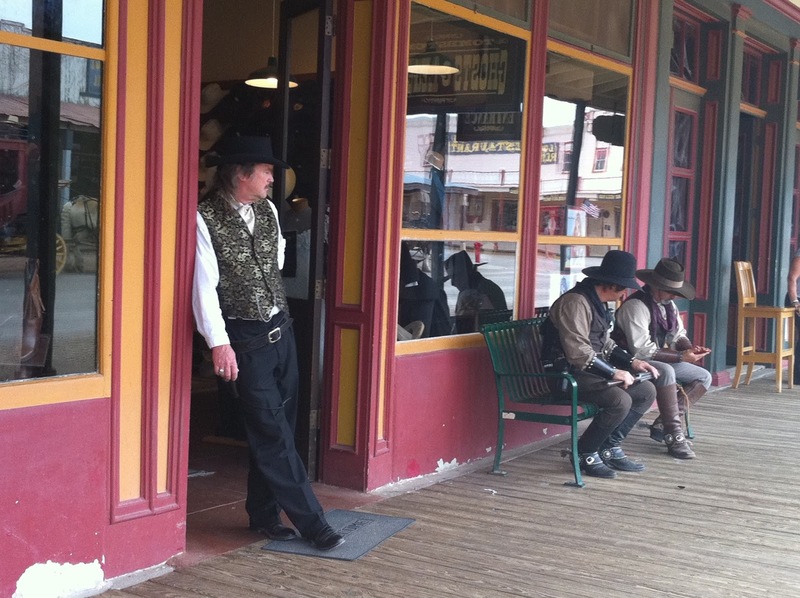 Tombstone’s future was uncertain, but a group of determined citizens coined the phrase “the town too tough to die” and invited the public to come help them celebrate the town’s past. 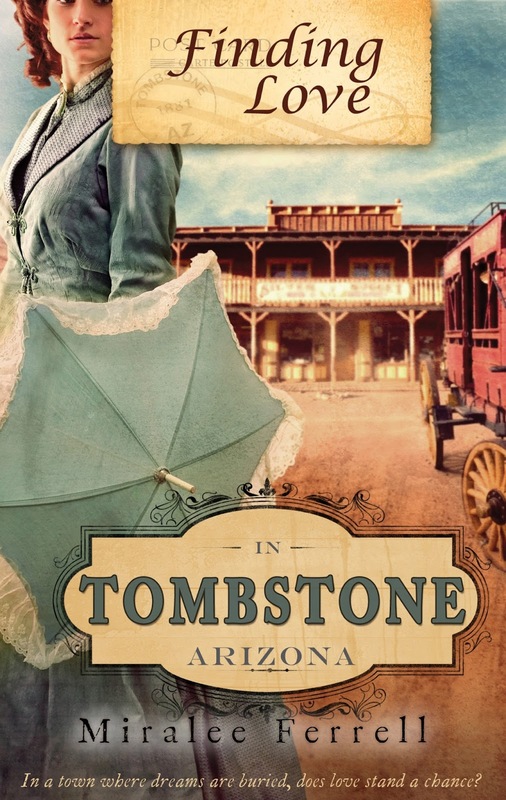 As a result, Tombstone has continued to hold onto life over the decades, catering to tourists with an insatiable appetite for a glimpse into the old West. 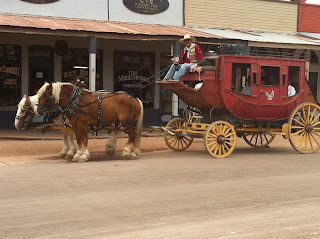 Walking the preserved streets of old Tombstone and riding in one of the stagecoaches provided for tourists gave me a small idea of what it must have been like in the wild mining heyday of the early 1880s, as well as giving me a glimpse into a colorful part of our nation’s past. Finding Love in Tombstone, Arizona is in paperback, ebook and will very soon be available in Audio from Audible and iTunes for download. Be sure you check it out--the narrator does an excellent job.